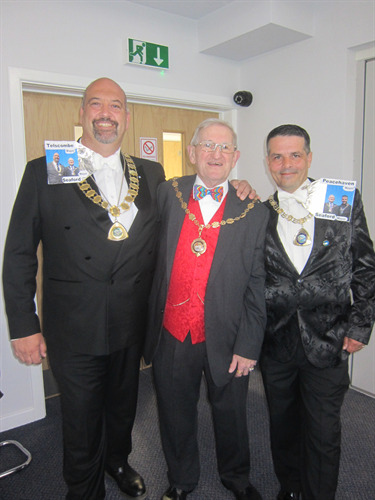 On 2nd May 2015 the Mayor of Seaford held a ball at the Seaford Head Golf Clubhouse in aid of his two charities, WAVES and Seahaven Storehouse. The event was attended by the Mayors of Telscombe, Peacehaven and Newhaven, the Young Mayor and Deputy Young Mayor of Seaford, Seaford Town Councillors, STC staff members other guests who all looked wonderful in their formal attire. 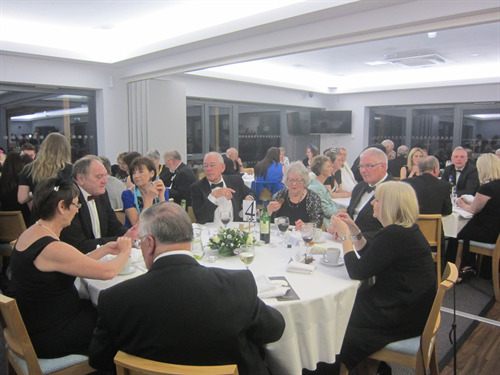 Guests enjoyed a three course meal and entertainment was provided by members of the Barn Theatre group. Over the course of the night, through a raffle, auction and generous donations, over £500 was raised for the charities. This will be added to the funds that have been raised throughout the Mayoral year. Mayor of Seaford Mark Brown said “It was a brilliant evening at one of the best venues in Seaford and a wonderful way to celebrate my year as Mayor. Good company with excellent food and entertainment by the Barn Theatre Group. L to R: Mayor of Telscombe, Councillor Wayne Botting; Mayor of Seaford, Councillor Mark Brown; and Mayor of Peacehaven, Councillor Robbie Robertson. 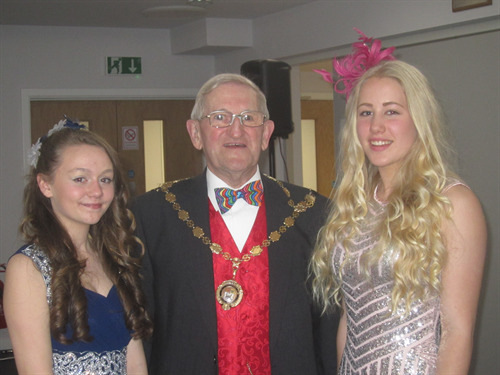 L to R: Deputy Young Mayor, Gabi Edwards; Mayor Mark Brown; Young Mayor, Millie Hemsley.